Simple, single byte RS-232 commands control the keyboard and mouse actions. Emulates all standard keyboard keys, mouse buttons, and mouse cursor movement. Generate any combination of keys, such as "Ctrl+Alt+F1"
Looks like a standard USB keyboard and mouse to the target computer. Powered directly from the computer’s USB port. No special drivers required, uses standard system drivers. Includes a command to read keyboard status LED settings from the target computer. Works in addition to, or in place of, the existing keyboard and mouse on the target computer. Serial communication at 9600, 8, N, 1. Supplied with a printed user manual and disk containing serial port demonstration programs. Length = 6 feet. Standard USB A type connector to a DB9 Female connector on the serial data end. The standard USB-KM232 unit can be customized to meet your specifications and requirements. Please contact us for specific needs beyond the standard features shown here. USB keyboard and mouse actions controlled by RS-232 serial commands! 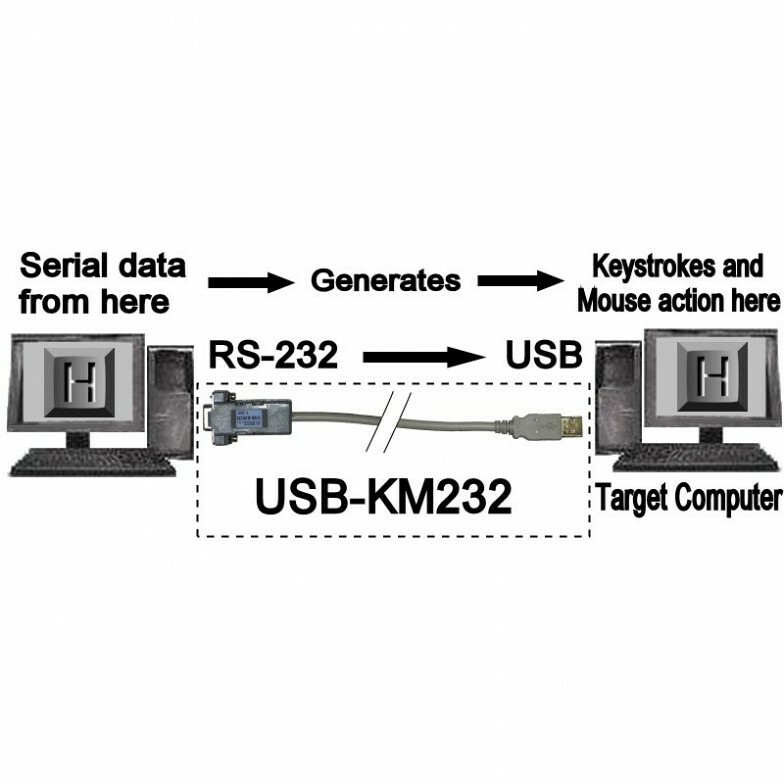 The USB-KM232 keyboard and mouse emulator is designed to allow RS-232 serial communication to produce keystroke and/or mouse actions on a target computer via commands sent from a serial data source. The USB-KM232 can be used with any computer that supports standard USB keyboard and mouse devices. The unit will emulate a USB keyboard and mouse appearing as a standard USB keyboard and mouse to the target computer. Standard system drivers are used, so no special drivers are required and the device obtains power directly from the computer’s USB port. No other external voltage supply is required. 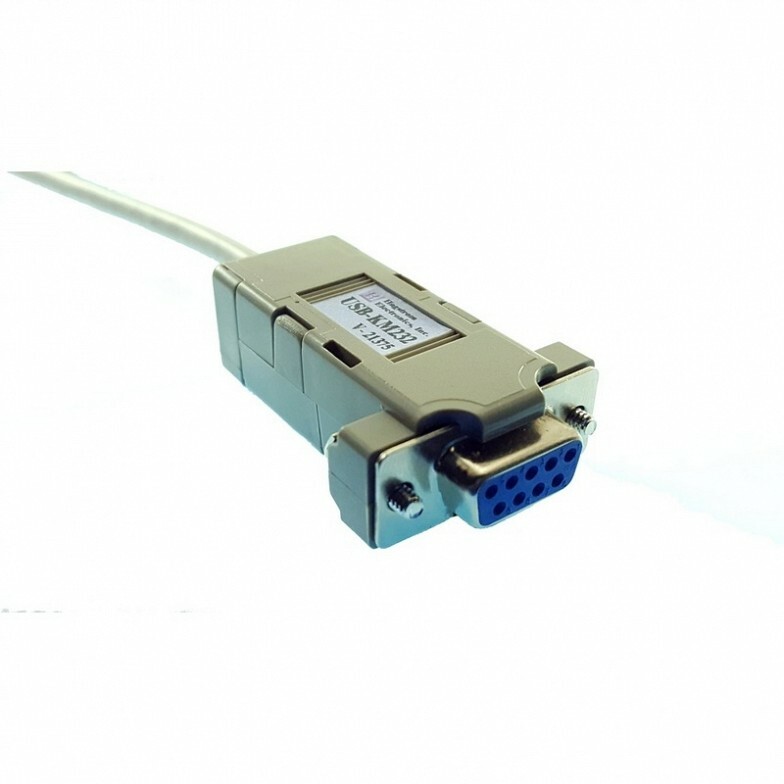 This product allows the user to send simple, single byte RS-232 serial commands for the control of the press and release of individual keys on the keyboard and mouse actions. This technique allows the user to emulate all standard keyboard keys, mouse buttons and mouse cursor movement. The serial communication is performed at 9600, 8, N, 1 on the USB-KM232 port. The USB-KM232 also includes a command to read keyboard status LED settings from the target computer. Knowing the status LED states provides useful feedback when specific character case or results are dependent on a specific status LED state. The ability to individually control the press and release of any key allows for generation of combination of keys, such as "Ctrl+Alt+F1". With the USB-KM232, any combination of key combinations can be created for unique and rapid keystroke actions to the target computer. The USB-KM232 works in addition to, or in place of, the existing keyboard and mouse on the target computer. 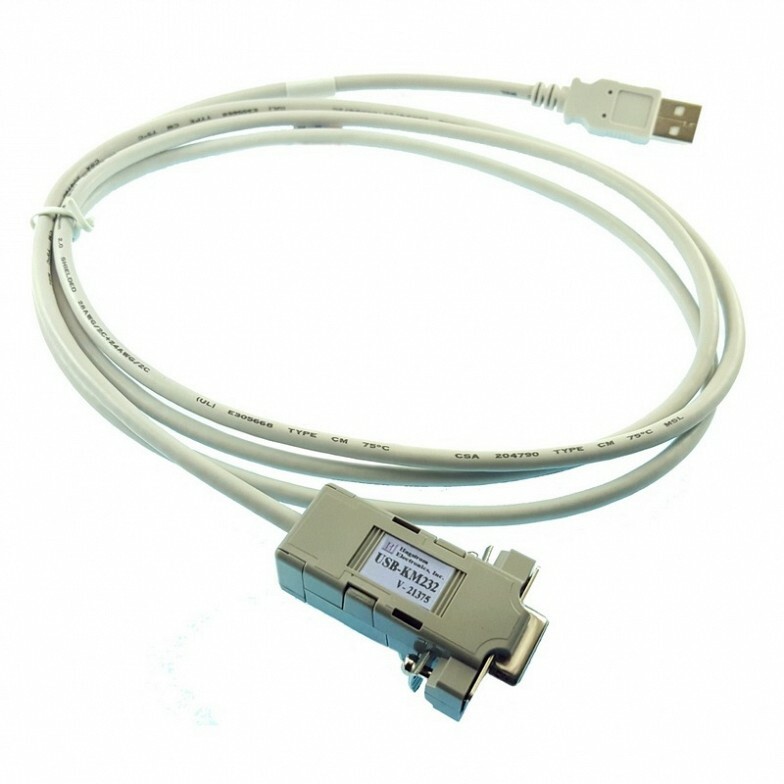 The USB-KM232 has a 6-foot cable length with standard USB A type connector and a DB9 female connector on the serial data end of the cable. A printed user manual and disk containing serial port demonstration programs are provided. Customization for special features not included in the standard USB-KM232 unit can be provided. Specialization can be items such as a Male DB9, RS-422, or special data filters to pick out text from the serial data stream. Please contact us for specific needs beyond the standard features shown here. KE-DB9MF - DB9 Male to Female straight through RS-232 serial cable to extend the connection length between the USB-KM232 and the serial port of a computer or other serial device. Length = 6 feet.